For all Photo Competition winners. Competition winners will recive a logo placed in the members " sig "
The logo will remain untill the next months winner has been Announced. The Winners of the pic comp for April are the following. Mike Ayres for, Pot Little Toshie "Gold Country"
Congrantulations to the winners of the April Photp Competition. A big thank you to the Secret Judge for doing a fine job. Which were the winning photos for each person? Congratulations for the winners and judge, as well! I feel a little envy , but CONGRATS!!! and Sandra on that delicious Paph. May I suggest a "Hall of Fame"? Maybe a single thread (it could even be this thread modified) where we post, each month, the winning pics with the owners' names and the award won are posted? 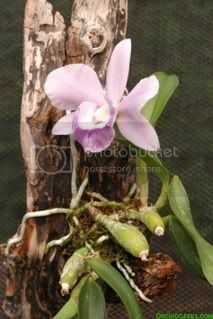 It would be like a little Orchid Geeks Award Gallery. I would enjoy being able to go backand look at past awards, maybe others would too. I've been having a great time on this forum, feeling connected to others who are soooooooooo experienced and those still learning and sharing their knowledge with me. I've had a rough couple of months and what a great outlet this has been for me!!!! P.S. I thought the secret judge was Fred!!! I also think you are worthy of winning. It was all up to the secret judge who we all know was Anton. good luck for all in the May competition! Congratulations Sandra, Mike and Bill. I'm still a bit shocked at the win, but very honored. Good luck to all for the May Comp. Congrats to all! Beautiful orchids. Fred, is it possible to have the winners images posted as thumbnails that you can click on to enlarge? Also the best in species is not showing up at all. Congrats to all for a job well done. Beautiful pictures. Congratulations, you all...keep taking more pictures . the secret Judge has decided a Tie for first Place. congrats to all the winners of the May comp. CHEFATPLAY, DDS2007, ANTON, ELLEN,and VIVIENNE. To KEVIN who won two ; Most popular and most helpful member. But I cannot find who won the Wackiest Avatar. Whoever you are, well done because there were some really wacky avatars this month. I have just been informed by Fred that ANTON was the wacky winner "hands down". I have always thought they don't come any wackier than our mate. Will Fred illuminate the forum with the identity of the secret judge for May? We wait with baited breath!!! Last edited by BillC; 05-31-2007 at 12:34 PM. I won the Duffer award also " i dont know why "
I'm a sore loser. I miss my ribbon! but, I couldn't have lost to a better choice. Congratulations CHEFATPLAY, DDS2007, ANTON, ELLEN,and VIVIENNE and KEVIN (for Most Popular and Helpful). Thanks and CONGRATS to all the winners! Can't wait to see what folks come up with for June. Congrats to all the winners in the May comp.! Congratulations, Ellen R, Ellen, Farah, Vivienne and Anton. You guys are very artistic and you so deserved the awards. It's going to be tough for me next month..knowing who I'm up against..
Congrats to all of you. I can see the competition is getting tougher and tougher. So many nice pics this month, including those of the "non-winners." Everyone is to be congratulated. Job well done. Congratulations, chefatplay, DDS2007, Anton, Ellen and Vivienne. 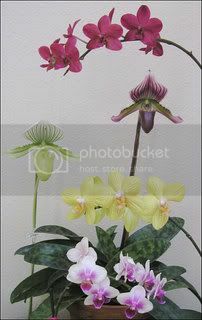 congratulations to all who won, as everyone has said such beautiful orchids,and helpful friendly people. I just wanted to say thank you for everyone who voted for me for popular member and most helpful. I appreciate the kindness and a happy that the things I've written are useful and helpful. I have so much fun with the hobby and I like to be able to share that fun with others. One of the reasons I like this particular forum so much is because many of you seem to have the same "gee this is so fun" attitude that I have, which I also think makes this forum unique. Okay, first, I had to pick my jaw up from the floor. I WON something....wow. Congratulations to DDS2007, Anton, Ellen and Vivienne. I am honored to be part of such a prestigeous group. Kevin, I'm so sorry I didn't mention you in my last post, congratulations to you. (I voted for you.) Your consistant effort to educate us and your tireless devotion is awe inspiring at the least. Thank you for the education. I read every one of your threads with great interest. chefatplay thank you that is very sweet of you to do that. congrats to everybody else who won CHEFATPLAY, ANTON, ELLEN,and VIVIENNE, KEVIN , and our super cool geek admin FRED ! i guess i am lucky because i get to see the pics the secret judge has judged to be the winners. at the end of each month i am flat out awarding the prizes to the winning members. I must say i get a good kick out of giveing the awards. I see the rewards each day with the quality of the comp pics and with how pleased the winners are. Holy...Kevin, I forgot to mention you as well, CONGRATS.. you've made this forum very very interesting, you are straight forward and knowledgeable and I thank the orchid god every day for you..
Congrats to May's winners, it seems like my photo 101, one on one lessons(you people know who I mean) makes it all worth it when you try the things I have recommended and end up achieving an award. It means I have done my job. The Wackiest Avatar Award goes to Sandra. Congratulations Ellen, snowballs, Bill, Hummer and Sandra!! Congrats to all winners. 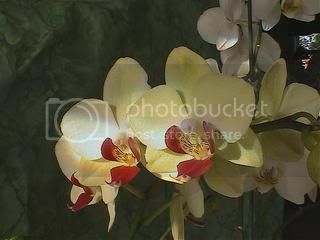 Beautiful orchids! Congrats to all the winners, looks like photo101 is working. Anyone needing help, tips or critiques on their images, PM me, or contact Fred for my address, and I'll do them via Email, but as those who already use "the service" know, expect long replys as I give in depth analyses and help. Can't wait to see the entries in July's comp. Congratulations everyone! Anton, you're right, the pictures are gorgeous. Snowball, I'm glad you won recognition for those beautiful orchids in the wild. We don't get to see that often. Vivienne, Sandra, Bill, Hummer and Ellen, (gee, I like that name, Ellen, has a good ring to it ), well done. I will be working hard this month to enter a winner ! Anton, you should always win something, between your monk and your advice, who could not learn something from you! Here's my award for you for the most popular monk award. Congrats to all winners... Sandra, your " Keving Sightings " thread still makes me laugh everytime I think about it..well done. congrats to all the winners , well done everybody !! I would like to say a big thankyou to Sandra for her work with this months Awards. A mighty fine work sandy. That is also stated in the opening thread post. Also a big thankyou to Sandra for her work with being the Secter Judge for the Month of June. I will update sandra,s Avatar with the Judges Robes as soon as the Robes are emailed to me. Thank you Sandra!! Secret judge is right - didn't have a clue. Good job!! Oh Sandra, you secret judge you. I feel honored to know you, your honor! I'll have to work harder, I guess. Congrats to all. Great Job! The Monk is smiling that his Photo 101 classes are showing the great results. Congratulations to all. Great pics, and good eye Sandra. Sweet! I just got back from vacation so I just found out about my award. Thanks all; I'm glad everybody loved the wild cypripediums! The secret Judge has said to me that this months comp pics were very good and has decided to have a First and Second with the Beginner pics also a First and Second with the Amateure pics a First and Second with the Experienced pics and a First and Second for the Best Of Show. A big Congrantulations to all the Competion Winners. Also a big thank you to our Secret Judge for a fine job. Wonderful flowers and a great set of photos. Congratulations to all!!! 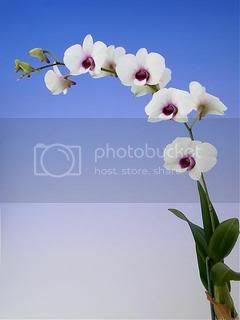 Beautiful pics of great orchids. Way to go, everyone! Congratulations!! Fred, see what happens when you focus the camera??? Haha Love your pictures! Congrats to all the winners, well done, glad I wasn't the Judge last month. The competition is getting tough. In away I have to thank Anton for his handy Tips I have never realy been one to take good pics of flowers. 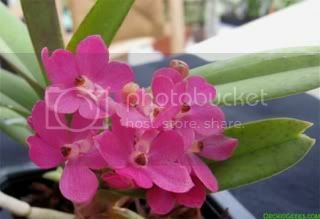 He has been guideing me with taking good pics of my orchids. congratulations to every entrant, and a big round of applause to the winners! Congratulations to the other winners, and thank you everyone (especially the secret judge ). I would also like to thank the brassia flower that did not make it long enough to see it's own achievement and to my wife for breaking it off by mistake in the first place. It will be missed... until the next flowering spike. Congratulations to all. Beautiful pictures - beautiful flowers. Emma (Boxer) and Foster Mom to Bailey (Terrier Mix)& 27 assorted Orchids, plus Tree Frogs, Fire-Bellied Toads and Turtles. Congratulations to all the winners! Beautiful images! It is just nice to share what everyone has blooming. Quote=boxerfan] BTW is it possible to ask the judge/s for a critique on another pic I entered, but it wasn't selected. I thought my Paph. Pinocchio pic would have won and I'd like to know how to improve on it as it is getting ready to bloom again and provide me with more photo ops. Lisa I can not ask the Secret Jugde to stepup to answer this one. I am sure if the Secret Judge wants to share his/her opinion then he/she will do so via a PM to you. Congratulations to the winners. 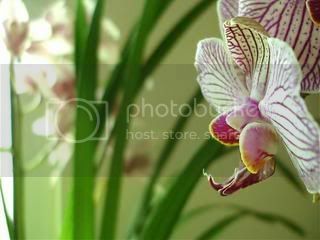 All the photos were gorgeous, all the entries were gorgeous, all the orchids in these photos, spectacular. A special congratulations to Cynthia...well deserved! Congrats to all the winners! Gorgeous pics! And ditto what Sandra said... congratulations Cynthia! Well done to all contestants in the August comp. and congratulations to the winners. The quality of the entries is growing month after month and if July and August are any guide September comp. will be a cracker. I couldn't agree more BillC. It's rather intimidating!! I can't wait to see all the September entries... it's going to be very exciting.